When I joined Saffron Interactive in 2007, the LMS landscape was quite different to what it is today. The role of the LMS used to be something quite basic: managing groups of users, distributing training on a schedule and providing administrators with reporting for completions. This sounds simplistic but it was how our clients were essentially using their learning management systems. When you consider that the step before this was probably a paper-based training record, the idea that this could be recorded digitally and reported on would have been enough alone to consider the LMS a must-have tool for any serious L&D department. The users themselves probably didn’t expect much from their LMS platform, which isn’t very different to the situation today. When you ask people about their experience with an LMS platform you will – more often than not – be met with a combination of groans or frustrations about browser compatibility, completions not being recorded or just general ease of use. I remember attending a talk by Tom Pape, head of learning innovation and platforms at BT, within which he used the term ‘conveyor belt learning’ and an image of a dumfounded Matthew Broderick to sum up how he thought his users perceived the experience of using their LMS. In reality, an LMS was only useful from an admin perspective, not a user perspective, as it provided a much simpler method to distribute and report on training. Some would argue that the LMS also made it simpler for the learner to access training, but in reality, at this point in time, the LMS was likely something that had to be accessed within the safety of the company network or from agreed locations. This presented learners with unnecessary barriers to training that weren’t an issue for a paper-based system. Quite a lot has changed. The LMS has developed from the simple beginnings of push and report to something that people see in a completely different way. Your standard LMS is now expected to provide features such as: document management, video conferencing, processing payments and offline learning. All of which are great, but out of the box these can be difficult to get working in a way that’s targeted and can actually make a difference to your audience of users, managers or administrators. To get to this point, you really need to understand how each group would be using the system, and what each group would be expecting from the system. Despite this long list of features and the complications involved in integration, it’s normally a very simple development change that would yield the largest impact for your users. In addition to the growing list of LMS features, we also have technical improvements opening the door to yet more new features and possibilities. HTML5 put rest to the dominance of Flash as the go-to delivery method for training, and Microsoft have been trying to claw back lost ground to Apple and Google in terms of browser and platform dominance. We also have the introduction of the Tin Can and xAPI standards to add to the stalemate between SCORM 1.2 and 2004. But what does all this mean for the user or the LMS platform itself? The key to this is to think about your audience from a consumer perspective rather than as a captive audience. Everyone familiar with conversion tactics will understand that the smallest changes in terms of design can actually have the largest impact. Rory Sutherland (vice president of the Ogilvy Group and former president of the IPA) once gave an example of a US retailer that was able to increase its annual turnover by $300 million, simply by changing a ‘register’ button to a ‘continue’ button in their checkout process. Although in Rory’s example the payoff directly related to sales for the company, the learning potential for getting this right in the scope of an LMS cannot be ignored. Taking one of our own projects as an example, we recently deployed a learning management system for a large retailer, aiming to more effectively manage their induction programmes. Our objective was to create a tool intuitive enough that no prior training was necessary for their staff to use it, while providing improved and personalised reporting for each of the roles that needed access. After meeting with some of the teams that would be using this system, instead of just showing them how to use our system, we were able to focus many of the design features in a way that would tailor it to their needs. To do this we developed a dashboard that is role-focussed, not task-focussed. So, instead of subdividing everything into separate pages and convoluting the system, we were able to take the data being recorded in the system and present this back to the user in a concise user-friendly manner – using a dashboard with entry points for the relevant information. This was more as a result of actually meeting with the users and getting direct feedback from the initial designs, rather than the original plans and high-level meetings for the project. This is where we were able to find our $300 million dollar button. As a result, the cost efficiencies for this system were realised by gaining input from the most important element in the system, the people using it. By building the system around the human processes and interviewing people instead of constructing a new system, we were able to intelligently mould those processes and deliver a return on investment for the business. Despite the success of our deployment for this retailer, it’s not always practical to make such large changes to a system in order to centre the focus on the end user. There are other, smaller ways that you could improve a system, which might have an equally large impact for the user. Perhaps your efficiency could be realised – not by changing the platform directly – but by making two existing systems more efficient? Bridging the gap between two systems might allow you to simplify an underlying process for HR or improve adoption by providing a targeted multi-device experience for your users. A common theme we find with our clients is that although the training content has been given a responsive design, the LMS hasn’t, and is therefore difficult to use. This scenario brings us back to the $300 million button dilemma, where your user is ready to login and commit to a transaction but the barrier is the system itself. In the commercial world of consumer systems this kind of barrier wouldn’t be acceptable, because it would prove a direct detriment to profits. In the world of learning management systems your currency is ‘engagement with the content’, so why accept these kind of barriers? The solution might be as simple as changing a button. 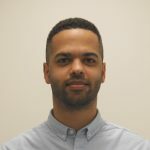 Alastair has over nine years of industry experience and is a highly skilled developer as well as a trained graphic designer, with a wide range of experience in the successful delivery of learning management systems, elearning projects, websites and desktop applications for business and commercial audiences.